WELCOME HOME! 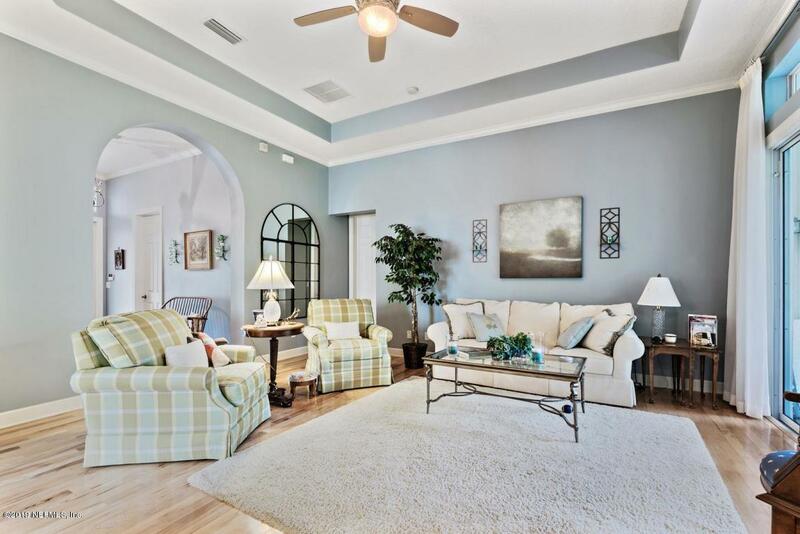 REMARKABLE MONTEREY w/ FULL GAS PACKAGE & GLEAMING HARDWOOD FLOORS THROUGHOUT. NEW ROOF!! GOURMET KITCHEN w/ wall oven, GAS COOK TOP, generous cabinet & granite counter space, stainless appliances including deluxe LG refrigerator. Full window wall in great rm so sunny & bright. Generous master suite w/ his & her bathroom w/ shared shower & jetted bath tub in ''hers''. Ideal home for owner needing home office & or extra bedrooms for visiting family & guests!! 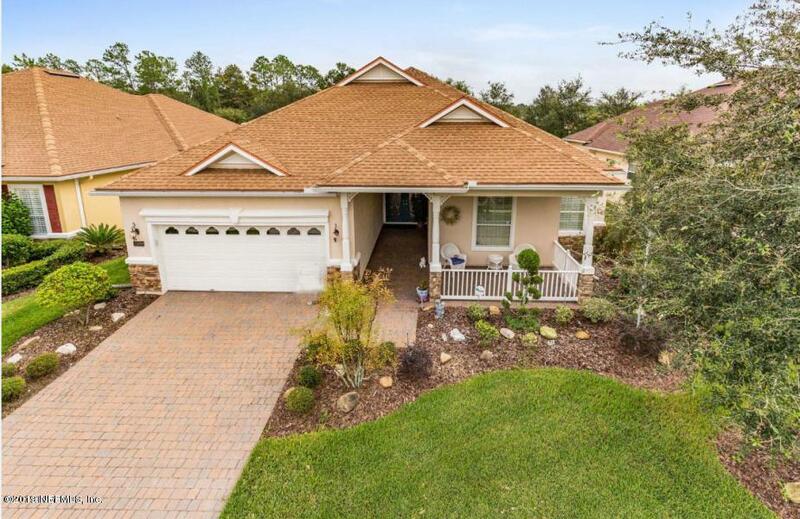 Upgrades include Plantation shutters, custom closets, water softener system w/ reverse osmosis, tray ceilings, crown, lighted ceiling fans, extended garage & front porch. Laundry w/ builtin utility tub & additional cabinetry. 3 zones for heat & air! Resort class amenities! 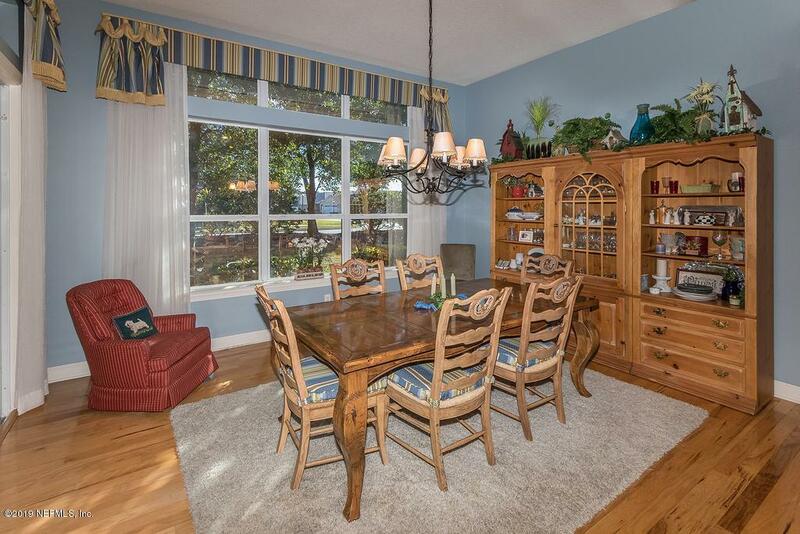 2 pools, fitness center, tennis, pickle ballbocci, card and game rooms room w/ kiln, billiard room. 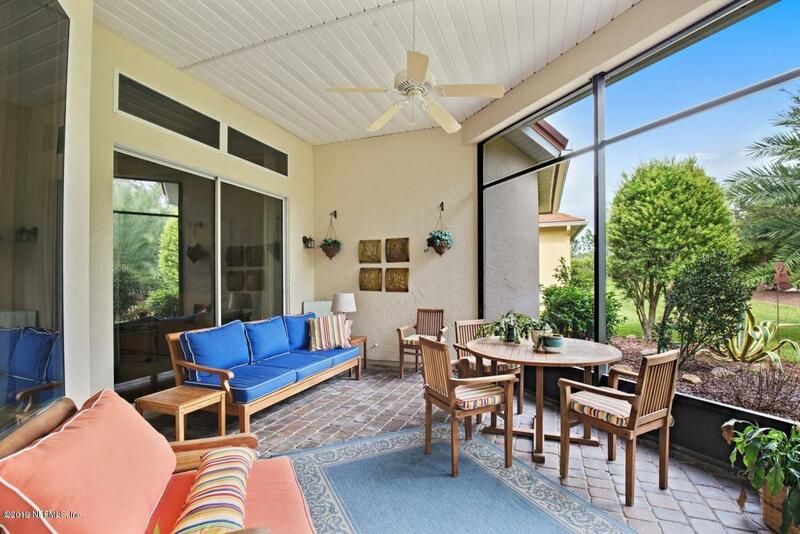 Gated community close to St. Augustine, beaches and world class golf! !